Do you love Beauty and the Beast? 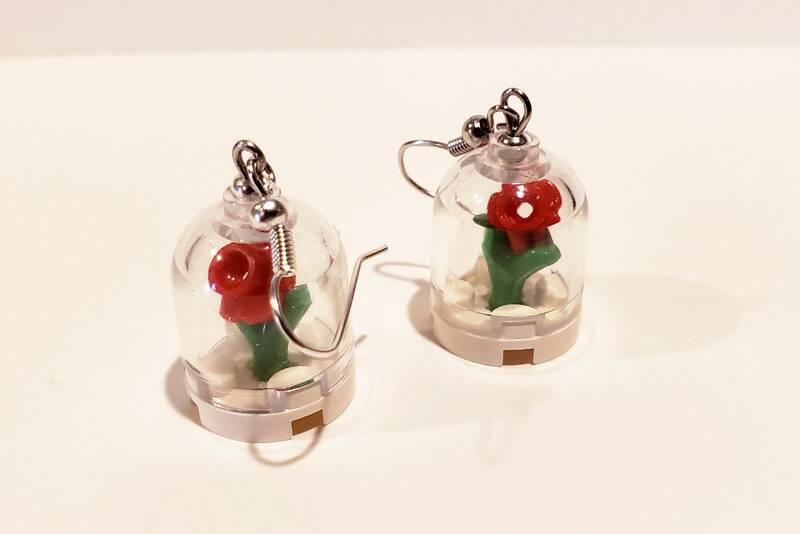 Here's the Beast's enchanted rose made from LEGO® elements. Perfect for any Fairy Tale, Disney or Beauty and the Beast fan. Just under an inch tall. Earrings available in either Silver, Gold or Sterling Silver (for an additional $2).